In the first season of The Ultimate Fighter Brazil, coaches Vitor Belfort and Wanderlei Silva mentor 16 featherweights and 16 middleweights hoping to get their shot in the UFC. 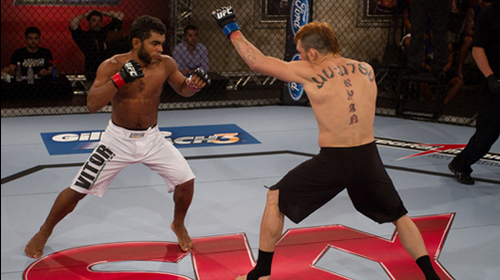 TUF Brazil Episode 101 Mar 25, 2012 (1:10:33) The first international edition of the famed reality TV show The Ultimate Fighter® begins in Brazil. 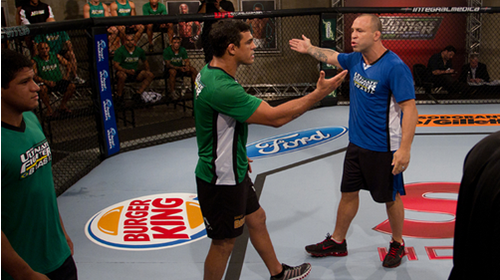 The Ultimate Fighter - Brazil® features UFC legends Wanderlei Silva & Vitor Belfort as coaches of the 16 fighters. See who qualifies in the first episode. 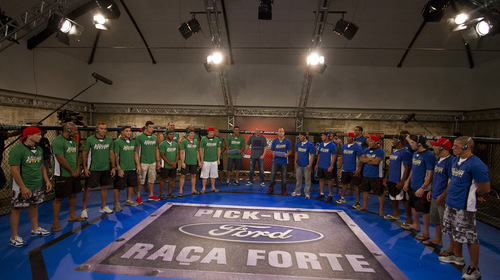 TUF Brazil Episode 102 Apr 2, 2012 (50:40) The 16 fighters get their first look at the house, the teams are drafted, and the first quarterfinal fight. TUF Brazil Episode 103 Apr 9, 2012 (51:09) Vitor Belfort and Wanderlei Silva have two different ideas of coaching, while pranks run around the house. UFC Heavyweight Champion, Junior Dos Santos, makes a special appearance as Renee Forte (Team Wand) faces Daniel Sarafian (Team Vitor). TUF Brazil Episode 104 Apr 16, 2012 (50:41) Vitor and Wanderlei break down their training and coaching methods, while we learn more about Damm and Macapa's personal lives before their big match of the evening. TUF Brazil Episode 105 Apr 23, 2012 (41:21) Wanderlei Silva is in a tough spot, down 3-0 to Team Belfort, but he's confidant in Leonardo Teixeira, who's come from a rough past in São Paulo to perform well against Belfort's Cezar Ferreira, a long time student of Vitor, starting with at age 17. TUF Brazil Episode 106 Apr 30, 2012 (46:01) Team Wanderlei is down 0-4, but there's more excitement to come with two consecutive featherweight bouts. A very experienced Marcos Vina takes on the undefeated 'Wolverine' Viana for our fifth fight of the season. 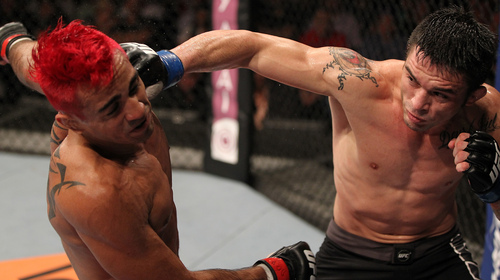 TUF Brazil Episode 107 May 6, 2012 (46:13) Two close friends are pitted against each other, as Team Vitor controls the fighting picks with a 5-0 lead. Rony Bezerra and Anistavio Medeiros plan to treat each other just like any other fighter in the Octagon, and Brazil's Lyoto Machida drops in. TUF Brazil Episode 108 May 13, 2012 (48:26) Tension continues to mount between Coach Vitor and Coach Wanderlei leading up to the third middleweight bout between Massaranduba and Bodão. Meanwhile, back at the house, Gasparzinho deals with more criticism from his fellow housemates. 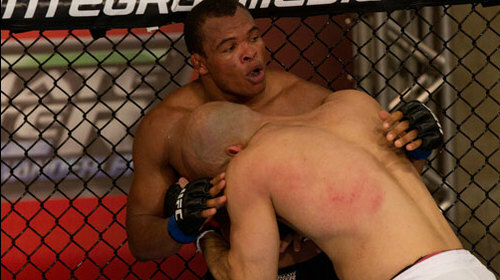 TUF Brazil Episode 109 May 20, 2012 (46:47) The last quarterfinal fight in the middleweight division takes place between Serginho and Pe de Chumbo to determine the semi-final matchups. Also, Team Wanderlei receives an unexpected visitor at the gym. 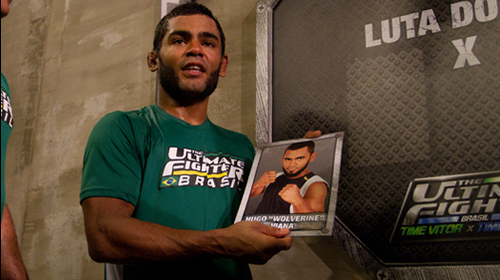 TUF Brazil Episode 110 May 27, 2012 (46:10) The semifinal bouts have descended on the TUF Brazil house, and the picks are announced for both the middleweights: Moraes vs. Sarafian and Oliveira vs. Mutante and the lightweights: Wolverine vs. Jason and Oliveira vs. Damm. TUF Brazil Episode 111 Jun 3, 2012 (49:00) Team Silva and Team Belfort take to the soccer fields to test their skills in another global sport - for a prize. 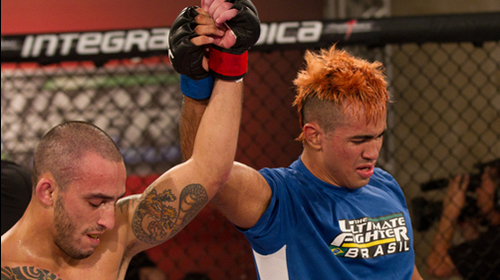 The first Ultimate Fighter Brazil finalist was chosen in the battle between Daniel Sarafian and Sergio Moraes. 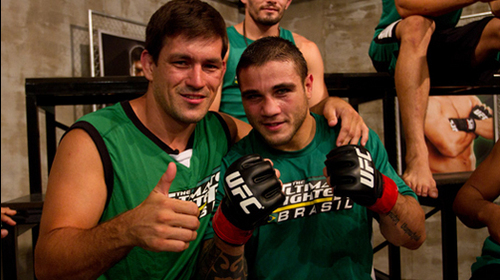 TUF Brazil Episode 112 Jun 10, 2012 (49:39) The road to the finale is almost at an end when the finalists are decided. 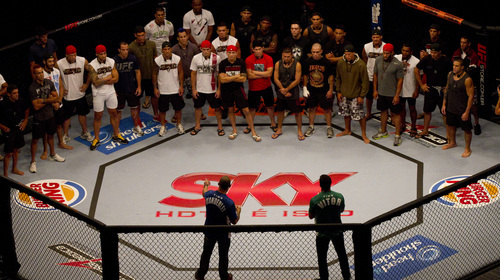 Team Belfort and Team Silva have completed their work in the The Ultimate Fighter Brazil house, and the first finals bout is set for UFC 147. TUF Brazil Episode 113 Jun 17, 2012 (51:16) It's the last episode of TUF Brazil, and the fighters are preparing for the finals. 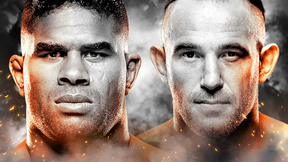 The special awards are announced, and Team Belfort and Team Silva are prepared for the finale taking place at UFC 147. Rony Jason vs. Godofredo Pepey UFC 147 Jun 23, 2012 (35:00) As a black belt in jiu-jitsu and kickboxing and an orange belt in judo, Rony “Jason” Mariano has a list of accolades that stretch a mile long, including 10 pro wins. Unbeaten featherweight Godofredo Pepey marched through the The Ultimate Fighter Brazil competition, but the toughest battle of all will be when he takes on the equally hungry Rony Mariano for the season title. 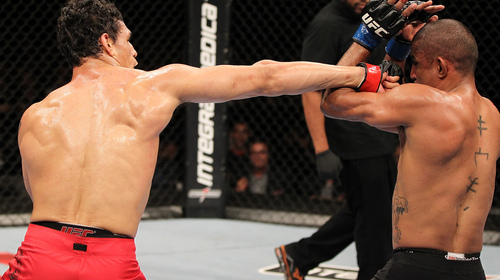 Cezar Ferreira vs. Sergio Moraes UFC 147 Jun 23, 2012 (33:15) Sergio Moraes had an impressive run on The Ultimate Fighter Brazil, making it to the semifinals before being eliminated by Daniel Sarafian. An injury to Sarafian has given him a new life in the Octagon, and the three-time jiu-jitsu world champion now has the opportunity to beat Cezar Ferreira and become The Ultimate Fighter.